Are Inspectors Liable if an Inspection Report Has Errors? We have our home under contract and the buyers ordered a home inspection. The home inspection report contains four substantial errors in the areas of heating, cooling, plumbing and sewer system. The inspector misidentified a sprinkler valve as a sewer service cap and reported a possible "active sewer leak" in that area which is nowhere near the sewer line. The inspector may have scared the buyers out of this purchase through these errors, time will tell. I was surprised to find that home inspectors are not licensed through the state of Colorado which seems ridiculous considering one unlicensed man's opinion can derail a deal for the seller's agent, buyer’s agent, sellers and buyers. Do inspectors typically buy Errors & Omissions insurance and what has your experience been with sellers suing the inspector after a report filled with errors kills a deal? Ugh…I hate this for you! I hate it when things like this happen to unsuspecting and undeserving people. The picture you are painting here is certainly an ugly one, however a painting that I have seen far too often on varying levels. First, I am sorry about your circumstances and I truly do feel for you and your family. It is likely that your first question was “how is this possible?” and after that answer settled in, feelings of total frustration, disbelief and outrage! Let me start by saying that inspectors are people too and mistakes are just part of being human! That being said, it certainly does not excuse them or make them any more forgivable when the errors appear to be as egregious as these might have been. Home inspectors are not licensed by the state and are not governed by the state or required to have any amount of standardized or required training. Colorado is one of 20 states that has not adopted ANY licensing requirements. I must admit that most of the local home inspectors do a great job, but I believe they often lose sight of what they are really doing and why they are really there. Believe me, I feel your pain…I personally believe that where home inspectors get themselves in trouble is the same with all of us…they speak before they stop and think something through. Often times they provide an answer or draw a conclusion without really knowing and that is where big problems can start. There is a life lesson in this and that is that if you don’t know something, don’t say something that may or may not be true. Explain that you don’t know, but will find out! Sometimes you run across things that you don’t know or are not sure of, and instead of blurting out an answer, you should dig a little deeper to gain full understanding before speaking or drawing a conclusion. We all know that it’s hard to take back words or correct an incorrect report. When it gets to that point, many times the damage has been done. An even bigger issue involved here is trust! Home buyers trust their home inspectors and trust is a very powerful thing! When you said that the inspector may have scared the buyers off, unfortunately I am confident the home inspector is clueless about his unknown super power: trust. Listen, when a home inspector says it, it MUST be true, at least in the eyes of the buyer. Many times, especially in young home buyers, what an inspector says is treated like the gospel. I believe most home inspectors do not have any idea how much home buyer’s trust what they say and when it is wrong, it can have cataclysmic consequences on a home purchase and everybody suffers. I do not believe most, if any, home inspectors carry E & O insurance and, in fact, I believe it is a common practice that the maximum amount of liability for most home inspection contracts is the price of the home inspection. 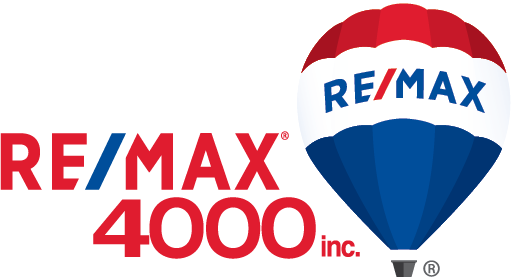 That means that if you paid $400 for the home inspection, the home inspector’s maximum liability would be $400! Lastly, I do not have any experience with sellers suing a home inspector for a faulty report, although I have had many who wanted to. Unfortunately, sometimes mistakes are made and from time to time it can have a significant negative impact that can cause a deal to crumble. Shawn, I am sorry about your situation and I am hopeful things will work out. Remember, things really do work out for a reason, even if you don’t know the reason. Control what you can control and trust that the rest is meant to be! : ) I know, easier said than done! Is it appropriate for buyers to ask sellers to pay their closing costs? Are trendy, contemporary kitchens a good investment?